Online shopping marketplace ShopClues has acquired Bangalore-based Momoe Technologies Pvt. Ltd, as it looks to build a payments business and better compete with bigger rivals including Flipkart and Amazon. The Gurgaon-based e-commerce company didn’t disclose the financial terms of the part-cash, part-stock transaction. 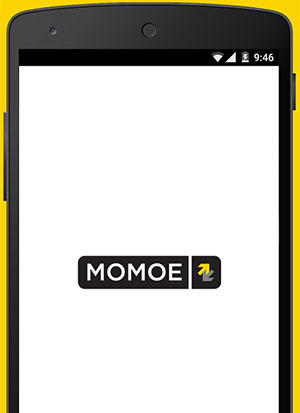 The e-tailer said in a statement it will use Momoe’s technology to boost its payment network for merchants and will look to tie this in its hyperlocal commerce business. The takeover deal is in sync with ShopClues’ inclusion of a chat feature 'ShopClues Connect' that enables consumers to connect directly with merchants on the platform, it added. Shopclues follows its bigger homegrown rivals Flipkart and Snapdeal and the local unit of Amazon.com Inc in acquiring a payments company. Snapdeal last year acquired mobile wallet FreeCharge while Flipkart this year purchased Bangalore-based PhonePe Internet Pvt. Ltd in its third acquisition in the payments solutions segment. Amazon in February agreed to acquire Noida-based online payment solutions provider EMVANTAGE Payments Pvt Ltd.
Momoe’s mobile payments app allows users to pay offline merchants such as restaurants, grocery stores, pharmacies, spas and salons by using credit or debit cards, net banking and mobile wallets. Founded by Utkarsh Biradar, Karthik Vaidyanathan, Ganesh Balakrishnan, Neelesh Bam and Aiman Ashraf, Momoe had raised $1.2 million in seed funding in December 2014 from investors including IDG Ventures, Jungle Ventures and India Quotient. As part of the acquisition, all five co-founders of Momoe will join ShopClues in senior management roles. Biradar, CEO at Momoe, said the company sees “natural synergies” since Shopclues is a pure marketplace model with a focus on merchants and consumer segments that significantly overlap with Momoe. ShopClues is run by Gurgaon-based Clues Network Pvt Ltd, the Indian unit of US-based Clues Network Inc. The company was founded by Sandeep Aggarwal and Sanjay Sethi in July 2011. It claims about 190 million monthly visitors on its website. The platform has listed over five crore products and five lakh merchants. In January last year, ShopClues raised funding from Singapore’s sovereign wealth fund GIC Pvt Ltd and other investors in a transaction that catapulted into the club of unicorns, or startups with a valuation of at least $1 billion. Its other investors include Tiger Global Management, Nexus Venture Partners and Helion Ventures.